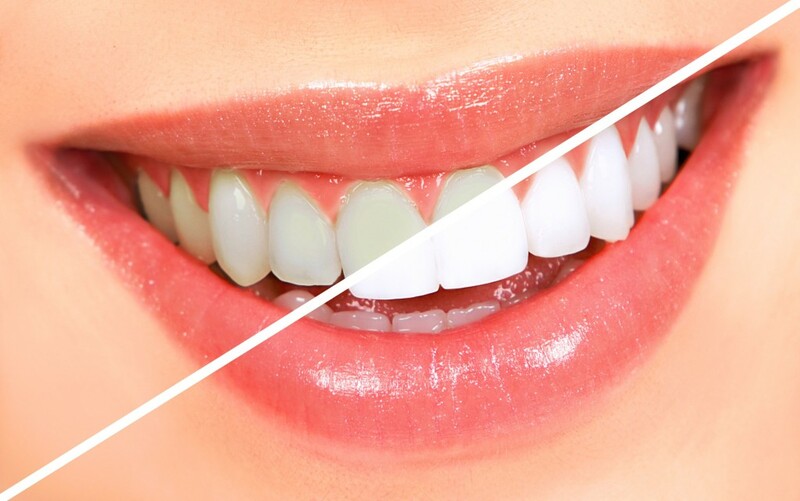 Dental bleaching is a common and popular chemical process used to whiten teeth. Some people get their teeth bleached to make stains disappear, while other just want a whiter shade. Dental bleaching can be performed by your dentist in the office or, under dental supervision, at home. Many patients enjoy bleaching at home because it is more convenient. Treatment begins when your dentist creates a custom mouthpiece to ensure the correct amount of whitening solution is used and that your teeth are properly exposed. Typically, whitening at home takes two to four weeks, depending on the desired shade you wish to achieve. Whitening in the office may call for one or more 45-minute to one-hour visits to your dentist's office. Want a brighter smile? When it comes to tooth-whitening, you've got two options: in-office-based teeth bleaching, or at-home care. There are pros and cons to each option, but before you try at-home tooth-bleaching kits, be sure to talk to your dentist. Not everyone will see good results. Bleaching will not whiten porcelain crowns or composite tooth-colored bonding's. Tooth bleaching can make teeth temporarily sensitive or be uncomfortable for people who already have sensitive teeth. When used incorrectly, home kits can also lead to burned even temporarily bleached gums.